Welcome to our From the Heart Stamps December Blog Hop. This month we are having a "Birthday" theme hop. The designers are showcasing lots of gorgeous projects. As you hop along, please leave a comment on each blog. One random commenter will be selected on each blog to win an image of choice from the FTHS store. So I think my project is a HUGE giveaway as to my BIRTHDAY MONTH!! Now head over to Cammy's Blog and see her beautiful creation! Thanks for hopping with us today. The hop will end on Monday, December 7th at 6 am EST. Winners will be posted on the From the Heart Stamps Blog on Wednesday, December 9th. Now make sure to stop by the From the Heart Stamps nd get all the details, of how to submit your Birthday entries, prizes and a special birthday challenge. I LOVE this card Nazeema - fantastic! The papers are fab as is the fabulously coloured little mouse! Gorgeous card as usual! Love the circle shape and those glitter balloons are marvelous!! Love those glittery balloons, and the circle shape. An unusual and great card! Great shaped card! 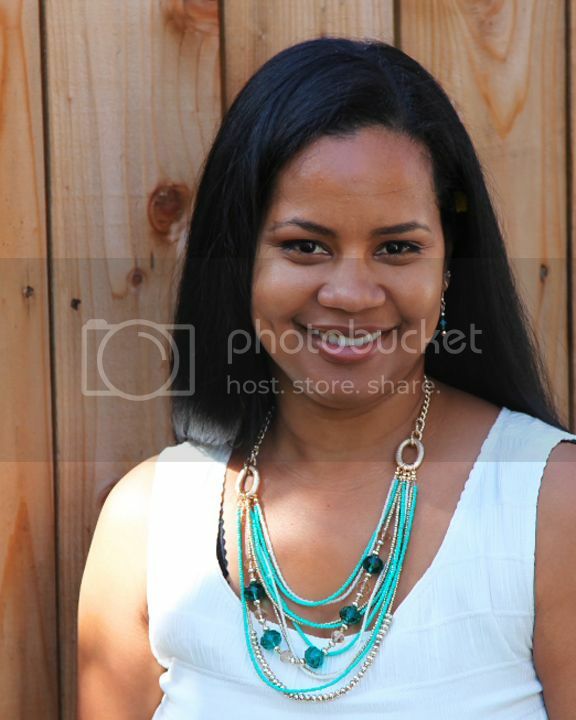 This is one of my favorite digis! I made several cards with him this fall! Love how you used glitter glue on the balloons. The effect is very eye-catching! I can't decide what I love more in this card, but I'd say it's the glitter glue on the balloons! Oh my goodness what an adorable image to use for a Birthday! Fun shaped card and glittery balloons, Nazeema! So cute and I love the circle card - it's perfect, Nazeema! Super cute...loving the round shape, the mix of patterned papers, and the glitter (of course!)! Well done teamie! 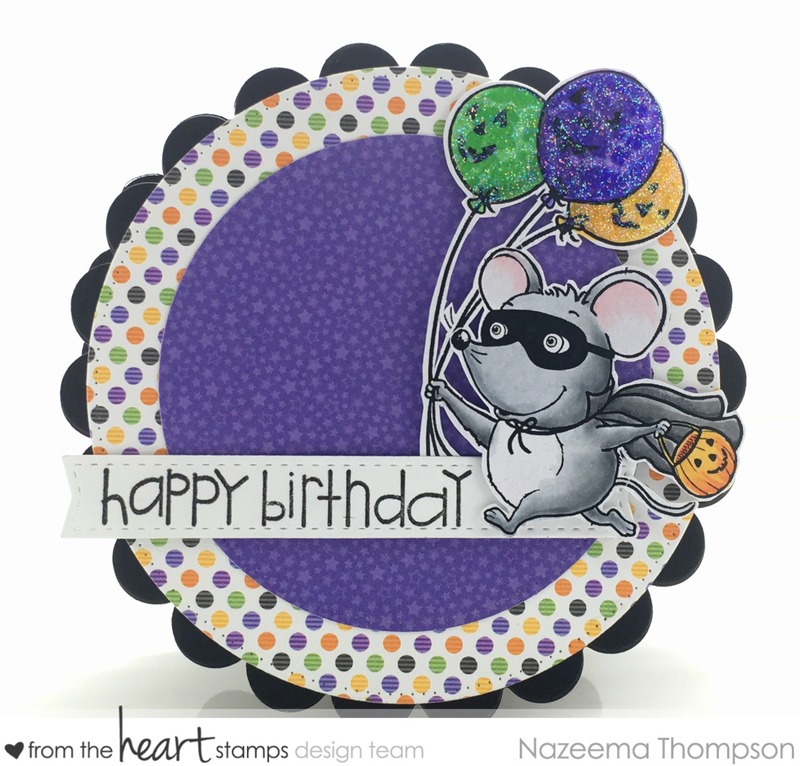 Nazeema, love your circular card and all of the sparkle on your balloons! And that image is so cute! What a great idea with the shape! I love your color combination! Super! Such a cute card! I've always liked this image, but don't have it...now that I've seen what you've done with it, I NEED it! Love your card, and those sparkly balloons...Thanks for joining Creative Corner Challenge! I love doodlebug paper!! and I love Halloween!! and I love this image!! so I love this card!! Love that it is circular too! You rocked it. Obviously the shaped card was is a crowd pleaser and I couldn't agree more! The image is darling and wonderfully colored. This card brings a smile to my face! So freakin' cute Calypso. I love all the sparkle! Fabulous round shape card, Calypso. Love the image and you did a great job with fussy die cutting. Adorable image, coloring and card shape. I know exactly when your birthday is, because the date is special to me too. How fun Calypso! Great shape, fun colors and I love the glitter! Fun! Great shape card and I love the bright colors and glitter! This is so cute! I just that image and your colouring is gorgeous. This is super cute Calypso, especially the sparkling balloons.